Hit the trail and score some ink that links you to the storied tradition of the American cowboy. A cowboy tattoo can be a tribute to a loved one, a yearning for the freedom of the Wild West, or maybe even an outlaw symbol. Not all cowboy-inspired tats are a picture of a cowboy. 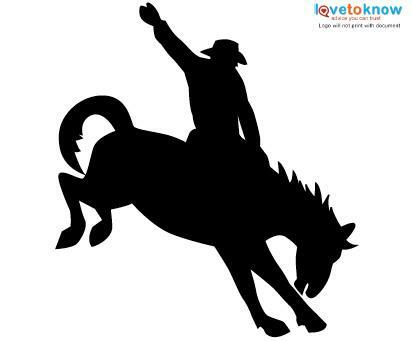 Some Wild West body art may depict a hat or boots so that the cowboy never has to take them off. A favorite horse may be the theme, or a cowboy sweetheart. 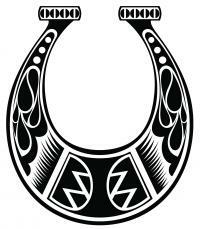 A brand from a family ranch may also be incorporated into the tattoo. Cowboy life is rich in symbolism and tradition. A popular theme is a recreation of a well-known work of western art. Remington and Russell recreations can be translated from canvas to skin by a skilled artist. There are many western artists that you may wish to look to for inspiration, though you may not wish for an exact recreation. Often looking at this type of art can inspire you to create an original design. Horseshoes are lucky amulets in many cultures. The position of the horseshoe, according to different traditions, alters its meaning. A horseshoe with the prongs facing up is believed to hold your luck, like a cup. A horseshoe with prongs down is said to pour luck down upon you. 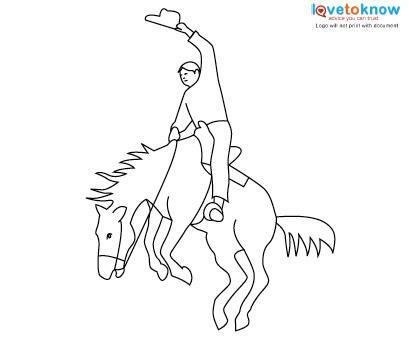 Try a tiny horseshoe on a finger or incorporate a larger, more detailed horseshoe into a cowboy scene on your back or chest. A cowboy's boots and spurs were essential gear for getting the job done. The smooth-soled boots with high heels permitted standing in the saddle without slipping when roping a steer. The fancy silver spurs were a legacy from the Spaniards who brought spurs to the new world. Spurs celebrated skill mastery and could indicate wealth. 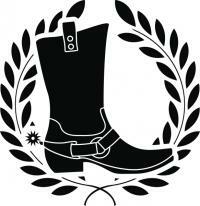 Boots and spurs symbolize preparedness to tackle daily challenges and control their outcome to your own satisfaction. 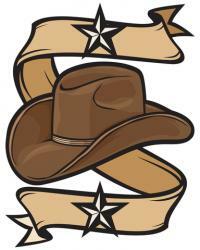 Boot-and-spur tattoos work on the back of a calf, a forearm or the back of the shoulder. Try a moderate size so the art can show filigrees in the silver spurs and tooling patterns in the leather boots. Don't be shy about color. Dyed-leather boots for riding the range might be turquoise or azure, because even cowgirls get the blues. Riding the range was a dangerous business that called for quick wits, courage, and a healthy dose of good luck. The image of a cowboy hat perched on a skull signifies bravado, an individual who goes his or her own way in perilous territory and is not afraid of death. The rounded forms of a hat and skull fit comfortably on a shoulder or bicep but they might also be part of complex cowboy art on a thigh. Smaller stetson-and-skull art works on the back of the neck or the top of a foot. Women can add a feminine touch to goth-style cowpoke gear with red roses wound around the image, tucked in the hat band or woven through openings in the skull. Another popular cowboy tattoo design may include portraits of legendary rodeo stars, country music icons, or film legends such as John Wayne. Willie Nelson's face has also graced many shoulders and forearms. Famous heroic rebels capture the imaginations of their fans and leave a lasting impression. These die-hard fans often pay tribute by inking their famous cowboy hero in a place of prominence on their body. Many people have a beloved grandparent or other family member that lived the life of a cowboy. These people are special to their friends and families because of their strong, independent natures, their love for life, and their honesty. Many cowboys are real-life heroes to the people whose lives they touch. It is not unusual for a cowboy's loved one to get a tattoo that memorializes his or her life when he or she pass away. Gaucho and vaquero wannabes can telegraph their inner John Wayne or Annie Oakley with a skillfully designed and well-placed cowboy -- or cowgirl -- tattoo. Even city slickers give off a hint of Wild West with a lariat curling partway around a wrist, a hand-tooled saddle inscribed on the lower back, or that classic Marlboro man striding over a ribcage or squinting across the landscape from an artfully inked shin. Head West for tattoo inspiration that brings a colorful period of history alive again on your skin. A tattoo inpired by the Wild West is a bold look that is meaningful as well. Whether you want to honor a loved one's memory, show your love of a celebrity cowboy, or capture the cowboy spirit with a traditional or unique symbol, there is plenty to offer when it comes to this tattoo style. From fierce to feminine, there are dramatic cowboy tats for anyone who wants to sport this type of tattoo.